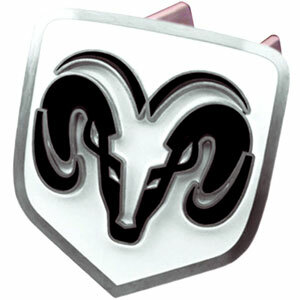 This Dodge Ram Trailer Hitch Cover is hand painted with 3-D carved logo. 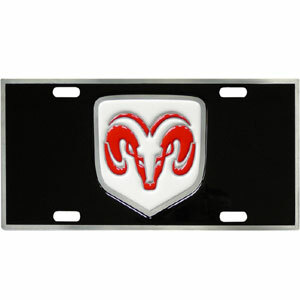 Dodge Ram Black Logo Hitch Cover complete with hardware included. Fits standard hitches. Enameled on durable, rust-proof zinc. Fits Class II and Class III hitches. Check out our extensive line of automotive accessories! Our Trailer Hitch Cover is hand painted with 3-D carved logo. 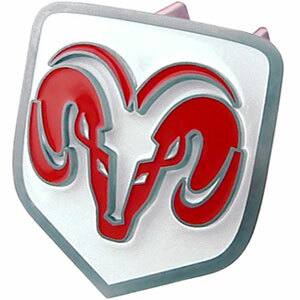 Dodge Ram Red Logo Hitch Cover has Hardware included. Fits standard hitches. Enameled on durable, rust-proof zinc. Fits Class II and Class III hitches. Check out our extensive line of automotive accessories! Our Trailer Hitch Cover is hand painted with 3-D carved logo. Hardware included. Fits standard hitches. Enameled on durable, rust-proof zinc. Fits Class II and Class III hitches. Check out our extensive line of automotive accessories! 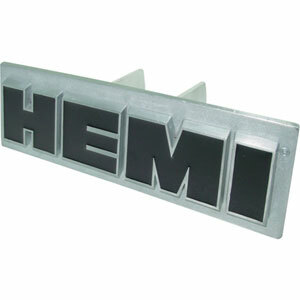 These Dodge 3-D zinc license plates are made for your automobile but also great to display at home or work. These Dodge license plates are hand painted and carved with great detail and the colorful, 11 3/4 x 5 13/16" 3-D design will get them noticed while pre-game tailgating or in bumper-to-bumper traffic. You must have a favorite Automobile, Motorcycle or Tractor! Crazedoutsports.com has collectibles and memorabilia you’re going to need to check out. Things to go with your favorite toy from companies like Chevrolet, Dodge, Ford, GMC, Pontiac, Harley Davidson, John Deere and more. Find Tons of great collectibles and memorabilia at Crazed Out Sports!